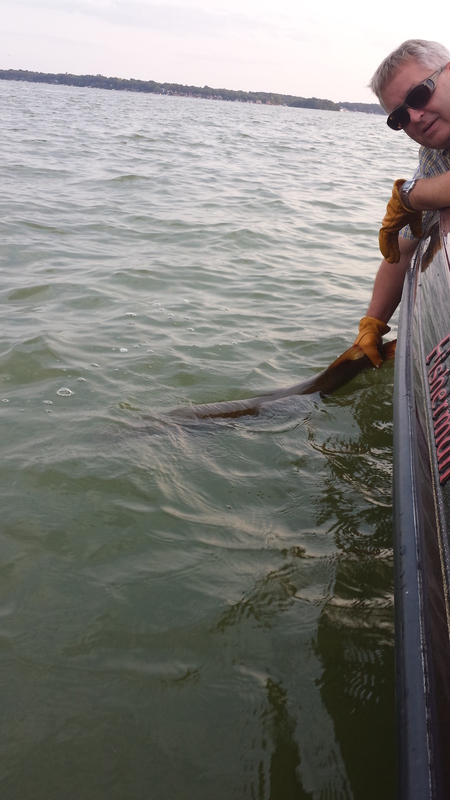 3 Hours of fishing done right! 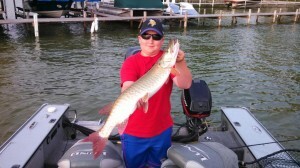 Book your Muskie trip today!! 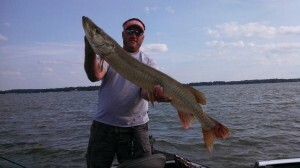 Kevan Pauls Guide Service is on a roll. 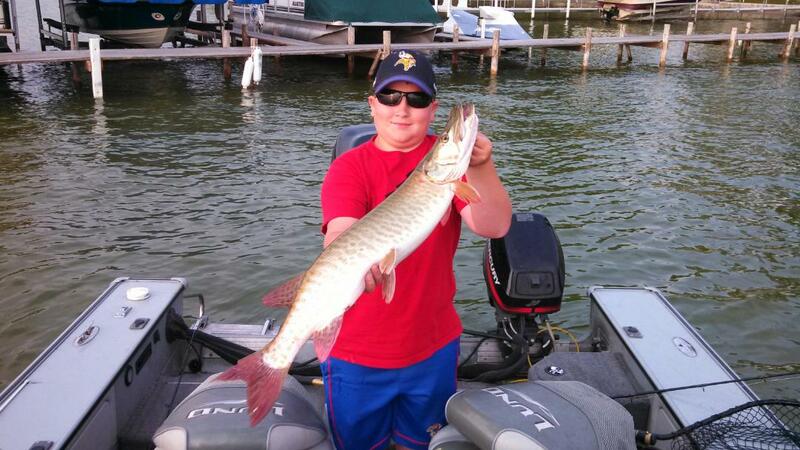 Guide Chris Scholl and Kevan Paul put 2 – 46″ and 1 mid 30″ Muskie in the boat in 3 hours tonight. Call 641-529-2359 to catch a fish like this!! 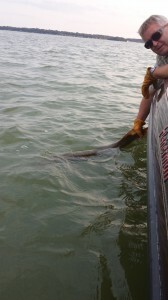 The Yellow Bass continue to be aggressive and its not uncommon to catch over 100! We have been catching them in 7 fow or less on small jigs and live bait! 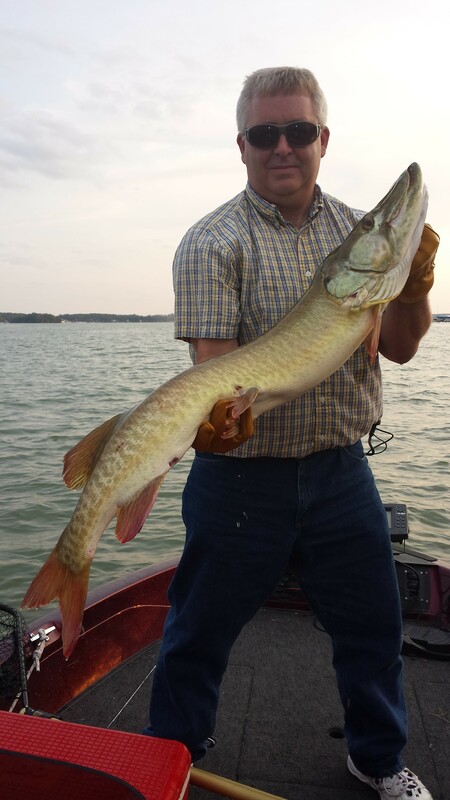 This entry was posted in Fishing Report and tagged Clear Lake, Iowa, Iowa Fishing, Kevan, kevan pauls guide service, Muskie on August 19, 2013 by Kevan Paul.